It’s official. With Labor Day long gone, summer’s officially over. But the summer surplus of produce is still going strong. That means we’ll be soaking up the last few weeks of summer heat while sipping watermelon soup. Blend all the ingredients in a blender until smooth. 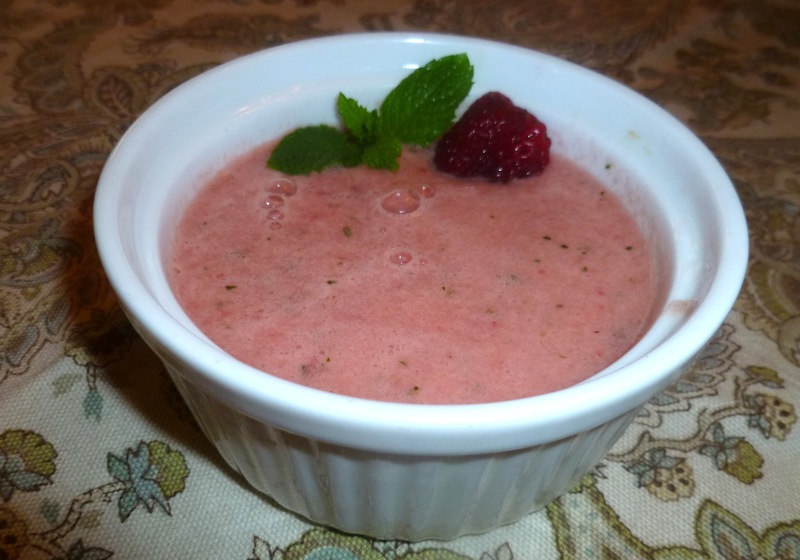 Serve cold and top each bowl with a mint leaf and a slice of strawberry for garnish. I’ll have to try this, sounds interesting.